Universities and colleges in the UK can charge home students up to £9k a year in tuition fees but most first-time students won’t have to pay anything up front. Tuition fees pay for things like teaching, building maintenance, facilities and equipment. Institutions that charge the full £9k also have to set part of it aside to help students from low-income backgrounds, as well as for bursaries, scholarships and access funds. You’re an EU (including UK) resident studying in ROI: ‘registration charge’ of €3,000 (around £2k) instead. ‘Private’ colleges can charge what they like – they’re not bound by the £9k fees cap. Part-time fees vary according to the proportion of the full-time course covered each year. Most students won’t have to pay anything up front. Instead, you’ll be offered a Tuition Fee Loan, which you don’t start paying back until you’re in work and your income is over a certain amount. Usually you can’t get the fees loan if you’ve already done a degree or similar course, or are an international student, so you’ll have to consider other loans, bursaries, scholarships or savings. Can you get student finance? What are staff numbers and library stock like? Are fees good value (student experience, future earnings)? What financial assistance is on offer? How do rents, ents and eats stack up? Will it be easy to find part time work if you need it? Make an informed choice: do your own research on more than one uni. 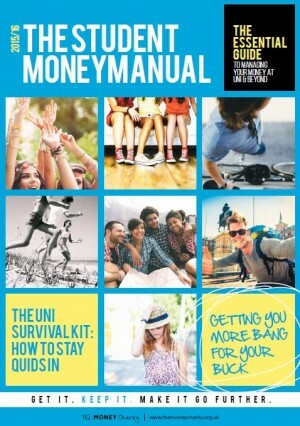 Read this piece and much, much more in our Student Moneymanual which is also available as a digital download on our website!